Today is the winter solstice. At 23:03 GMT the North Pole will be tilted the furthest away from the sun as it is during the whole year. This means that today is the shortest day – hurrah! After this, the days start to lengthen and my thoughts turn towards the coming spring. For me, this is the most notable day in the winter and one that Mr Snail and I choose to celebrate. This year, however, we had to bring our celebration forward a little because today, the actual day of the solstice, he’s heading back to England to work. We celebrate with food… enjoying some of the past year’s harvest from the garden and from some of our fantastic local producers. 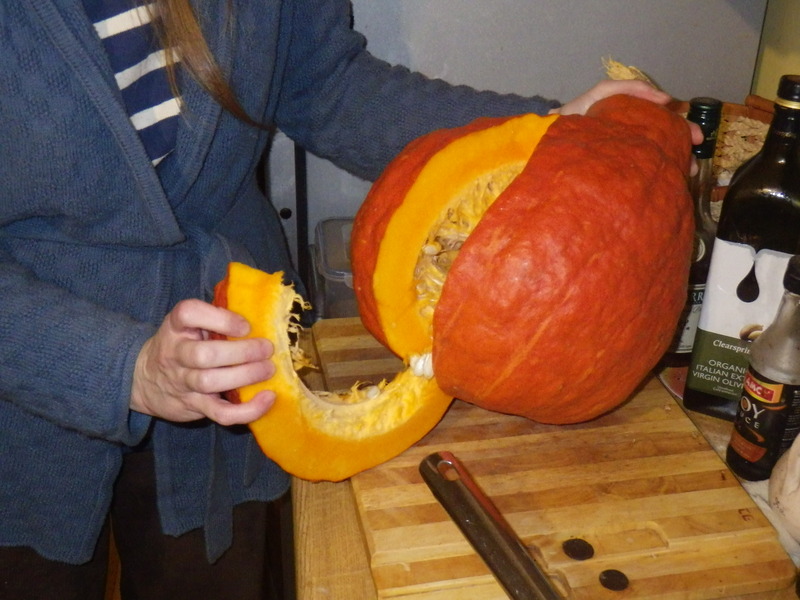 The garden produce was represented by a huge Boston squash. In fact we only extracted a single slice from it… the rest will be roasted in chunks tomorrow and then frozen for later consumption, apart from one piece which we will share with my mum on Christmas day. 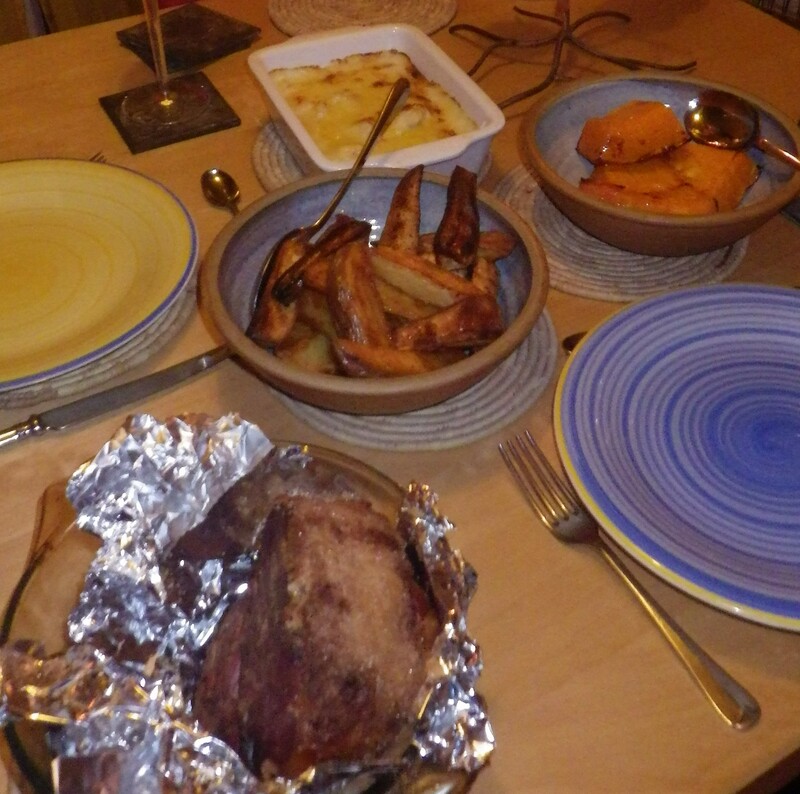 Other than that we had locally grown parsnips, potatoes and cauliflower, a cheese sauce, made with Welsh organic milk and Hafod cheese, and a piece of smoked gammon produced by From The Hedge Rose (local and ethically reared). For dessert I was going to make Pond Pudding, using a recipe that Anne Phillips kindly gave me (see the comments in this post), but I thought it might be a bit filling after such a substantial meal. Fortuitously, I got a phone call in the morning from my neighbours to say that they had some left over homemade chocolate mousse in the fridge and to come over and get it! We are keeping an eye on their house for a little while as they are visiting relatives and they were about to leave, so the mousse was going spare and was ours for the taking. It seemed completely in the spirit of the meal to have that for dessert. 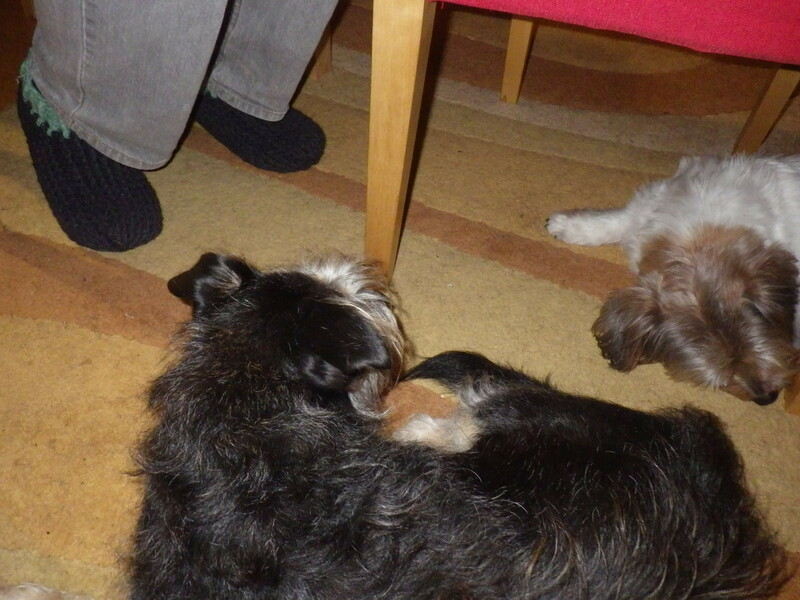 Whilst we ate and chatted, Max and Sam made themselves comfortable under the table, in the hope that food would arrive from above (it didn’t). So that was how our year turned… I do hope any celebrations you had were as enjoyable. Yes… I think new year’s day might be appropriate! But just soup first! Our Summer Solstice arrived and went on a grey and cloudy day and the opportunity to walk in the long, warm, summer twilight disappeared as a chill wind blew up from Antarctica and rain began to fall. I am always a tad sad on this day, especially when I don’t get to enjoy the extra 30 seconds of light, as it marks our slow descent to shorter days. But isn’t this example of global balance a wonderful thing? Our longest day was one of the hottest… Your feast looks fabulous, and I’m not surprised nothing fell to earth for the dogs to hoover up for you! Talk to you soon. I just love the fact that the days are now getting longer… time to order some seeds I think! I’m glad the celebration you chose to enjoy seemed to go so well. It was a very well timed offer of pudding wasn’t it.? 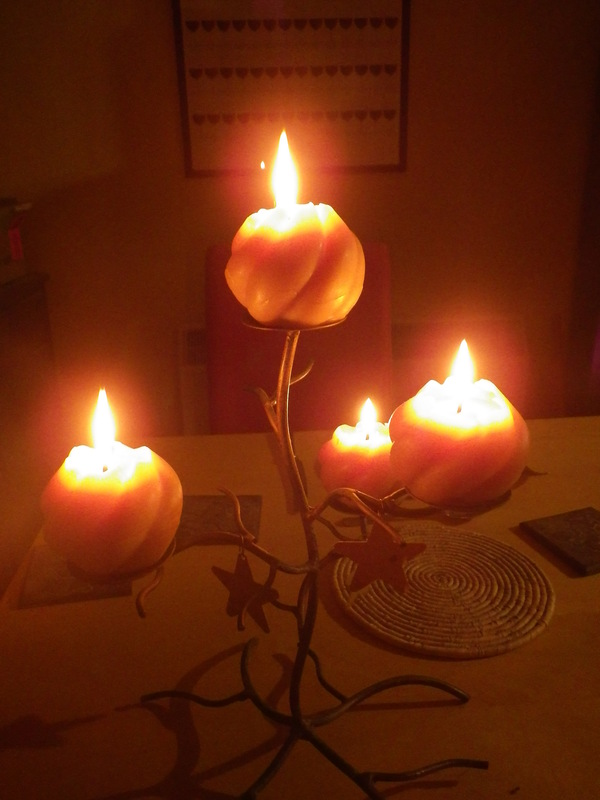 It was perfect timing for the pudding… what lovely neighbours we have. I like that you celebrate the solstice, specifically. I’m feeling very happy and relieved that our longest night is behind us and we are creeping toward more daylight! It feels like a day with meaning to me… and longer days are so welcome!